Become free from anxiety, panic attacks and depression. There is no need to experience another day any less than you would ideally like. You can bring calm balance to your life and increase your confidence from your first session. I specialise in anxiety, panic attacks and depression. Your session emerges with you facilitated with any or all of the following: NLP, Hypnotherapy and Strategic Intervention Life Coaching depending on your preferences. 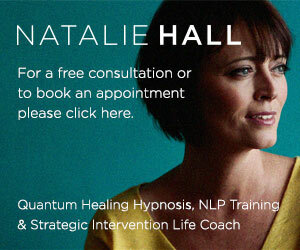 I offer guidance in how you can breathe life force into moving forwards freely and attaining your goals. In your session you can talk about the areas of your life that you would like relief in. You will experience rapid transformation therapy within your session and further support to take home with you, this may include personal growth processes or your personalised hypnotherapy recording. You will become like your own life coach after your session, as much of what we do is transferable. You will quickly be in control of how you feel as soon as your first session. Anxiety is often experienced when imagining a future event in a negative manner or with fear of the unknown. Whereas depression is usually about the past, past regrets, past hurts and limiting self beliefs. Our power lies in our view of our present reality; what we believe, tell ourselves repeatedly and picture in our mind. This is key to how we experience ourselves and behave. Defining the truth that supports you is empowering. A mental spring clean is good, as some of what you’ve focus on may not actually be a true reflection of your reality. Whatever you imagine whether it is good or bad has a direct influence on your feelings. Whatever you repeat becomes familiar, intensifies and becomes habitual. Sometimes a Life Coach, NLP Practitioner or Hypnotherapist may be the last person someone sees, instead of the first, after they’ve been given pills from their doctors. They may have been through a process of identifying and naming their ‘condition’. Knowledge is good and it is important to keep in mind that whatever we repeatedly focus on feels like our reality set in stone. All things are meant to move and change. If one is too fixed in carrying around an issue with them, talking about it, imagining it, focussing on it, one can prevent positive change right now. Hypnotherapy, NLP and Strategic Intervention Life Coaching enables a state of learning which leads to a state of openess to all preferred possibilities and grounded in the present which is the only place we really own any sort of power. Your focus and consciousness is creating what you interpret of your world. To be conscious of your thoughts and focus is empowering. What we think and focus on effects how we feel, how we feel impacts our behaviour and our behaviour influences our results and ultimately our destiny. So it is very important how we focus because of this domino effect that happens. Everything in the Universe is meant to grow, and that very much includes us. Our emotions are meant to flow and move, and our emotions need to be recognised and understood. As soon as you learn how to do this instead of trying to suppress them relief comes. Thereafter state management enables you in having control. It is natural in life to have up’s and down’s, that is the normal ebb and flow of life. You can recognise what is happening and you do not have to stay down, just learn from whatever is happening inside and out and balance can be navigated easily with stress management. Release yourself from anxiety using hypnotherapy combined with NLP & life coaching techniques to ensure lasting positive personal development. I offer hypnotherapy for anxiety sessions on a 1-to-1 basis in Bournemouth, with my local clients travelling from Poole, Bournemouth, Christchurch & the surrounding areas of Dorset & Hampshire.